Chase Bryant. Photo: Chris Hollo. 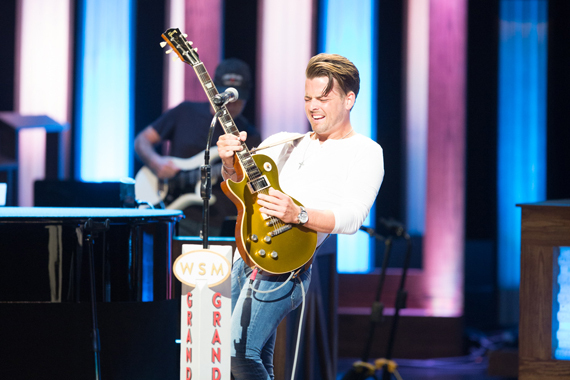 The Grand Ole Opry will take its replica Opry Circle to Chicago’s U.S. Cellular Field on July 8 when country singer Chase Bryant entertains prior to the White Sox and Atlanta Braves game at a 7:10 p.m. The White Sox will celebrate country music before the game with a live radio broadcast with US99*5 at U.S. Cellular Field from 3:00 to 7:00 p.m. and throughout the game. There will also be a first pitch from US99*5 afternoon on-air talent Kasper, a Country Music Night Party Shop in Section 159, country music giveaways and country music played throughout the ballpark. The night will conclude with a post-game fireworks show accompanied by video footage from the Opry stage. More information and tickets at whitesox.com. Pictured (L-R): Mark Bass; Phil Guerini, VP of Music Strategy Disney Channels Worldwide; Nate Bass. Photo: Spencer Huff. 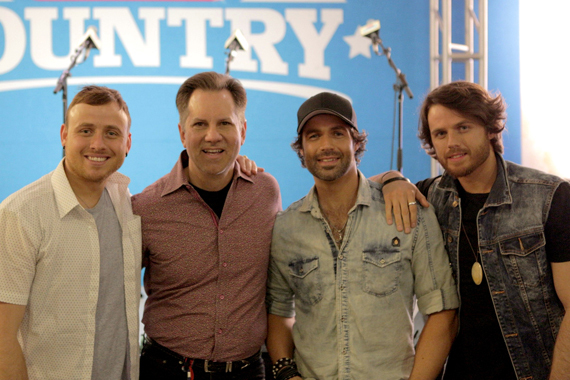 London, England’s The Bass Brothers, who are currently finishing their project with Dann and David Huff producing, stopped by the Radio Disney Stage at CMA Music Fest to meet Phil Guerini, VP of Music Strategy Disney Channels Worldwide. Pop singer/songwriter Rizzi Myers has signed to Nashville-based Phivestarr/AVJ Records (a division of Average Joes Entertainment). “Closer to Closure,” Myers’ debut single for the label, is available on iTunes. The 26-year old’s YouTube channel virtually exploded when her viral video, “1 Woman, 15 Voices,” went from 1,300 views to 4 million in just four weeks. The video highlights Rizzi impersonating 15 different female vocalists ranging from Adele to Marilyn Monroe to Amy Winehouse. Myers will be featured on labelmate DJ KO’s debut EP, High Gravity, set for release this summer.